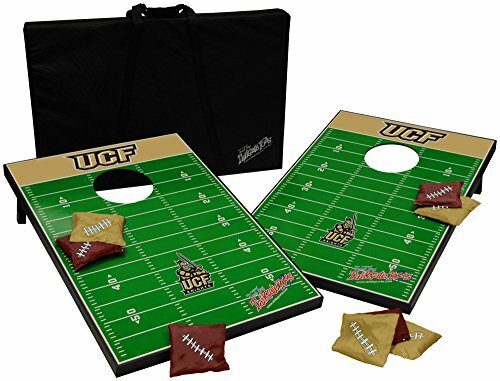 5CFB-D-CFLOR NCAA Team: UCF Knights Features: -Includes 2 boards and 8 bean bags. -Bean bag weight: 12 oz.. -Officially licensed product. -Carry handle for easy transport. -NCAA collection. Material: -Wood. Number of Items Included: -10. Dimensions: Overall Height - Top to Bottom: -2". Overall Width - Side to Side: -24". Overall Depth - Front to Back: -36". Overall Product Weight: -14 lbs.